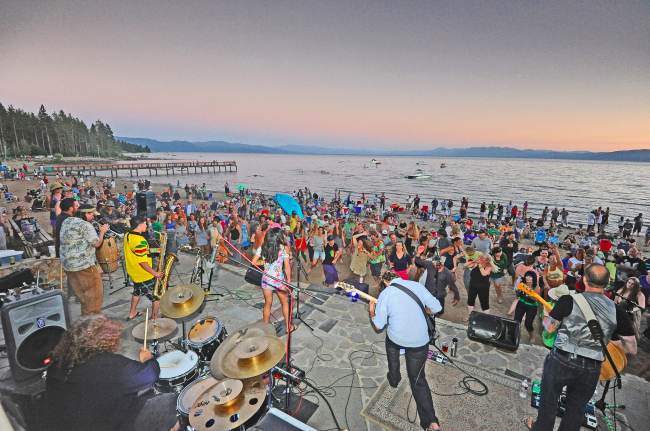 Free Friday Night Bands – Come dance on the beach when you visit Lake Tahoe at Music on the Beach! 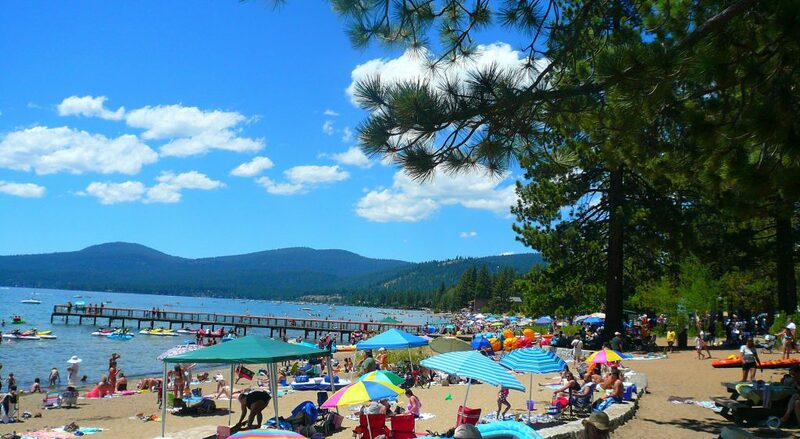 Let loose and start your Tahoe weekend with a concert on the beach. Experience great music, meet new people and soak up that great Tahoe vibe at Music on the Beach. Watch the sun set over Lake Tahoe while Lake Tahoe live music washes over you. Come early. Everyone loves a concert on the beach and music goers begin showing up before lunch to find their perfect spot. 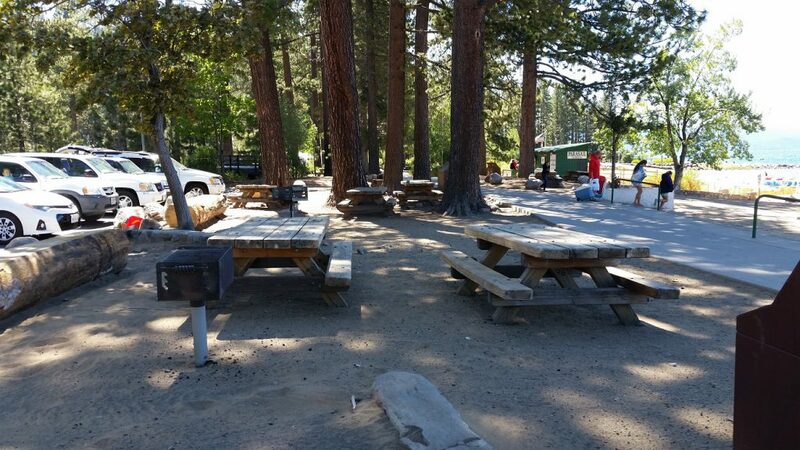 Kings Beach is an expansive lake side beach with room for all your friends and family. Bring the whole family and enjoy a barbecue on the beach. Kings Beach is in the heart of town with cafes within walking distance. Food vendors are on the beach Friday evening for your dining pleasure. Sierra Nevada Brewing Company beer, 14 Hands wine, and soft drinks are available for purchase from 6-9pm. 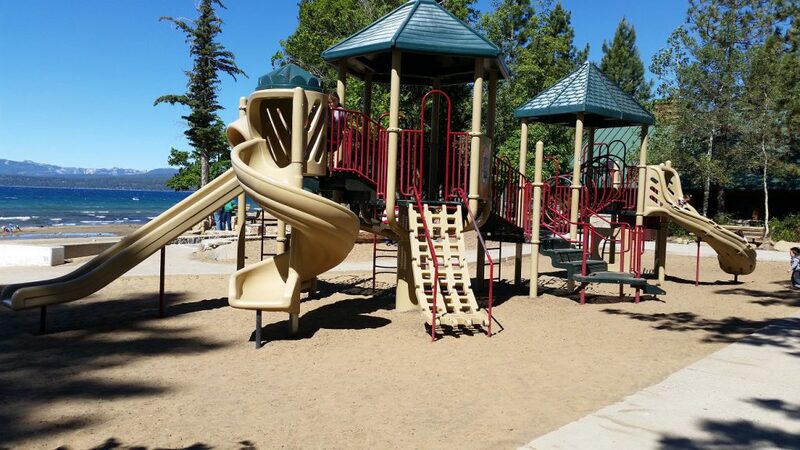 Children will enjoy the playground on the beach. Parking at King’s Beach is $10, so why not make a day of it. Bring a jacket. When the sun sets it can get chilly at 6200 feet, especially after a day in the sun. Please no outside alcohol or pets. Come on out, visit Lake Tahoe at Music on the Beach and enjoy our hospitality.